Ryan is a collaborating artist-scholar with the Verbatim Performance Lab at NYU’s Steinhardt School of Culture, Education, & Human Development. The Lab is led by Joe Salvatore. It uses verbatim performance techniques as an investigative tool to challenge and disrupt preconceived notions, implicit biases, and intolerances across a spectrum of political, cultural, and social beliefs and experiences. Ryan is a collaborating artist-scholar with the Verbatim Performance Lab at NYU’s Steinhardt School of Culture, Education, & Human Development. The Lab is led by Joe Salvatore. It uses verbatim performance techniques as an investigative tool to challenge and disrupt preconceived notions, implicit biases, and intolerances across a spectrum of political, cultural, and social beliefs and experiences. 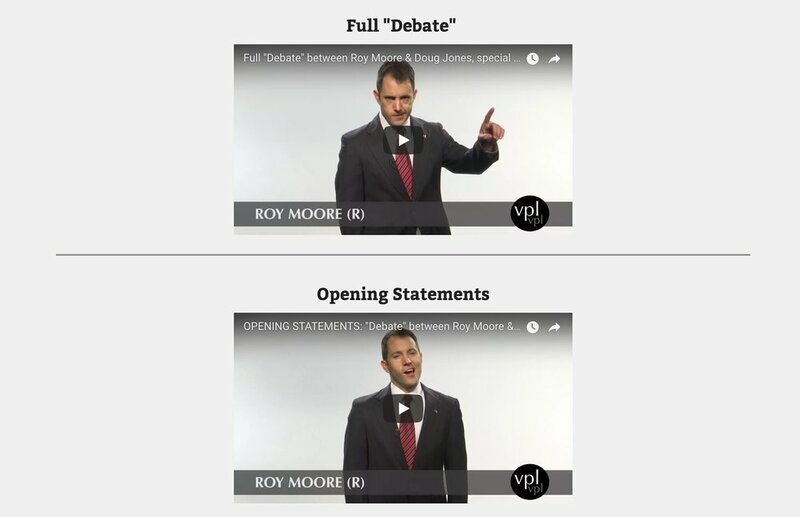 Recent projects with VPL include a re-presentation of the statements of Roy Moore and Doug Jones in their fall 2017 special election for Senate from Alabama (click here for more), and a performed analysis of gender in the Donald Trump-Billy Bush “Access Hollywood” tapes.